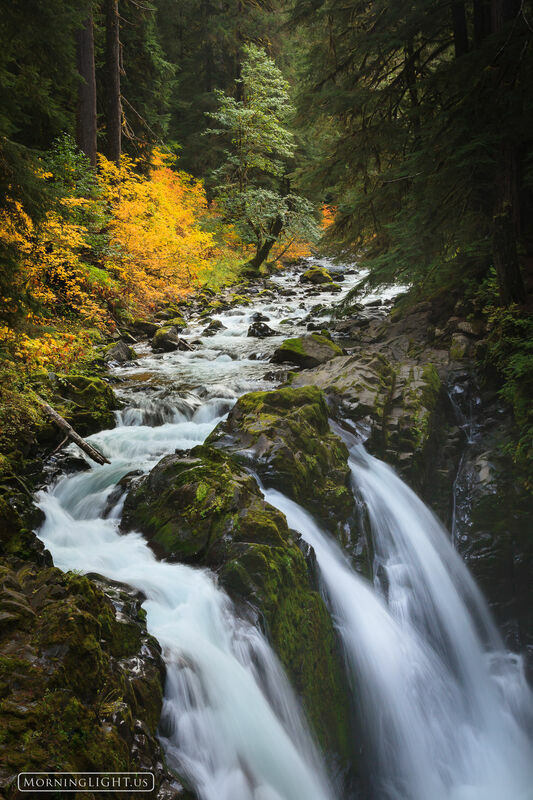 One of the places I knew I needed to visit on my trip to Olympic National Park was Sol Duc Falls. I was so glad I did. It is an amazing place any time of year but I was fortunate enough to have wonderful autumn colors as well. The real challenge here was trying to get a photo before the lens got wet. It took me a few tries and a number of damp lens cloths but was just so much fun to be here and see this great view while hearing the amazingly deep roar of the falls. Photo © copyright by Erik Stensland.